Synopsis: England, 1553: Harsh winter encroaches upon the realm. Mary Tudor has become queen to popular acclaim and her enemies are imprisoned in the Tower. But when she’s betrothed to Philip, Catholic prince of Spain, putting her Protestant subjects in peril, rumors of a plot to depose her swirl around the one person whom many consider to be England’s heir and only hope—the queen’s half-sister, Princess Elizabeth. It's no secret C.W. 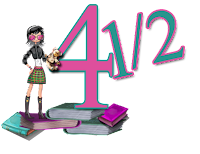 Gortner is one of my favourite historical fiction authors, and all his historical fiction works (portrayals of powerful but maligned women in history) have made my favourite reads list. The Spymaster Chronicles are cast from a slightly different aspect, firmly embedded in the history of the Tudor Court in a strong mystery/suspense vein. 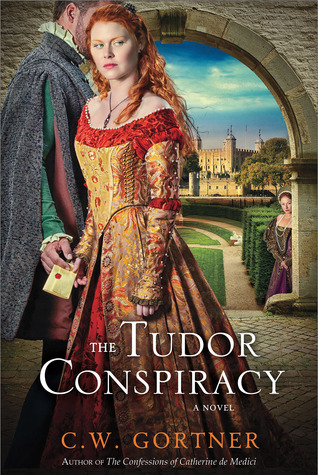 I enjoyed the first book, The Tudor Secret even though it didn't make my favourite list but Christopher Gortner has truly outdone himself with The Tudor Conspiracy. It's quite the tangled web as Brendan Prescott returns to Queen Mary's Court to protect Princess Elizabeth and finds himself in the perilous position of double agent. In a period mired in conspiracy, treachery, religious persecution, danger and death Mr Gortner draws the threads of this multi-faceted story with a deft but delicate hand. Nothing overplayed but the suspense just about killed me ... I seriously had to remind myself to breathe. Brendan is an easy character to like, so many endearing qualities; unpretentious, loyal, courageous and his capacity to show very real emotion made the connection with him much stronger in this book. Brendan's precocious 'squire' Peregrine won my heart in The Tudor Secret and in this installment he merited a few tears. All up, an absolutely riveting, refreshing and unique take on the events leading to the Wyatt Rebellion, the enmity between Mary and Elizabeth and the possible motivations governing both their actions. I'll be awaiting Brendan's next exploits with bated breath. Recommend: In a nutshell ... bloody brilliant - that's a yes! This sounds wonderful! LOVING your review on this one!!!! Thanks Julie, I know you'd love this series!! I love the idea of exploring the relationship between the sisters in this vein-I am less familiar with this period than I should be :( Will need to check this writer out! this is an exciting read for anyone 'Tudor'd out' (different spin on things) but it's a great introduction if you're not that familiar with the period. I think you'd love it!! This sounds terrific! Definitely a must-read for me. I love historical fiction and this sounds quite good. I will have to track down the first in series. Thank you for your review. I love historical fiction and Tudor times, and I really enjoyed reading your review of it, thank you! One day I'll read every author I want to. I don't know when that day will be though! This one looks good to me.